Paymentwall SDK is global mobile payment solution from more than 200 countries with local payment options. Our Core SDK is a light version(only 2.2MB) but it will become a native part of your application. When user enter payment page, it can help you eliminates the necessity to open a web browser for payments. 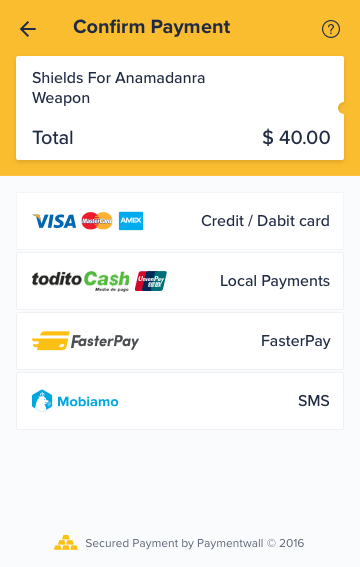 For these popular payment methods, we have do special optimization for mobile user experience and we also support all these payment methods. We also provided utility plugin for widget customization and credit card scanning as a extra plugin. 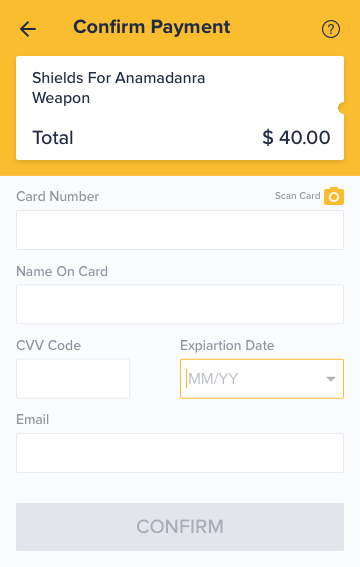 You can easily make your payment step unique and convenient. Paymentwall SDK could provide a better conversion rate and bring more volume for your business. Just few of code lines, your user can see local payment options your users are most familiar with. How does our SDK looks like? See parameter definition for the requirement and meaning of each parameters while using onetime payments. request.setPwSecretKey(Constants.PW_SECRET_KEY); //optional, if you add your secret key here, signature will generate from SDK but we highly recommend don't expose secret key to front end. You can use your server calculate it. secretKey: "YOUR SECRET KEY", //optional, if you add your secret key here, signature will generate from SDK but we highly recommend don't expose secret key to front end. You can use your server calculate it. In this step, you need to choose what payment methods you want to show to your users and how to show them. Based on your users countries, most popular local payment options can be activated from our backend. If you have any questions or concerns, please contact us. Choose your integration model. Now we have three different integration models. For more details please check mobile payment methods page. If you processed 100,000+ USD a month and want to have a special mobile payment methods solution, please contact us. 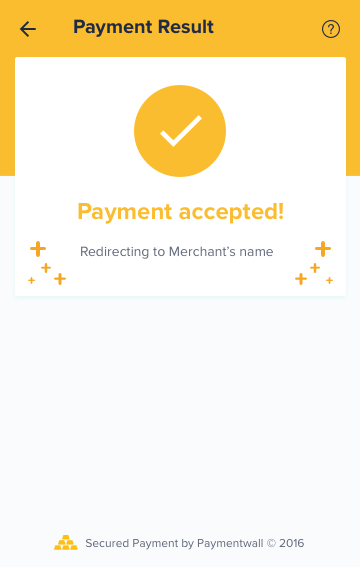 We are trying to provide a unique and convenient experience for all merchants. Use your own payment account with our SpiderPipe product. You can receiving money under our risk filter protect and get merchant support, CRM support service for free! A pingback request typically contains all the information for you to do the product delivery. As an addition, Paymentwall provides a series of reversed parameters as custom pingback parameters for specific needs, you can also add your own parameters as custom pingback parameter in order to implement parameter transmission.